Yiwu Babiya Cosmetics Co., Ltd. If not, for formula and smells, you can provide suggestions, for colors, you can choose from our available colors . What should I do9 Generally, broken rate 1%-3% is normal ,as eyeshadow is easy-broken items during the cruel transportation . We would try our best to pack them well and protect them from damage ,or reduce the damage rate to the lowest . 2.What's your sample policy9 --We will provide certain QTY of free samples , or else, you need pay for it accordingly as well as the shipping fee. 3.Can you add my logo on the cases9 --Of course,custom logo are 4. What payment ways are available9 -- TT , Western Union , Paypal , MoneyGram. 5.What are your advantages in the competitive markets9 -- we have a low MOQ and we can offer you best quality with competitive price. Shenzhen Fendi Cosmetics Co., Ltd.
Shenzhen Rivanda Economic And Trade Co., Ltd.
Alibaba.com offers 73,460 eyeshadow palette products. About 77% of these are eye shadow, 13% are packaging boxes, and 1% are lipstick. 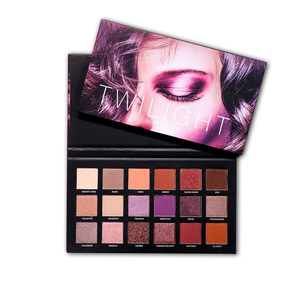 A wide variety of eyeshadow palette options are available to you, such as eye shadow, lipstick, and foundation. You can also choose from powder, liquid, and stick. As well as from mineral, herbal, and chemical. And whether eyeshadow palette is dry, or wet. 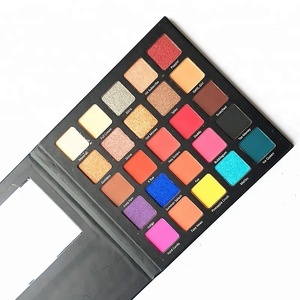 There are 73,256 eyeshadow palette suppliers, mainly located in Asia. The top supplying countries are China (Mainland), United Kingdom, and Taiwan, which supply 98%, 1%, and 1% of eyeshadow palette respectively. 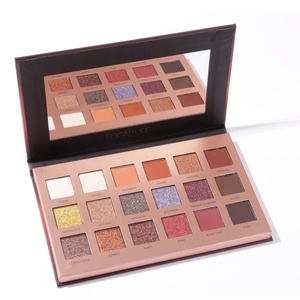 Eyeshadow palette products are most popular in North America, Western Europe, and Eastern Europe. You can ensure product safety by selecting from certified suppliers, including 10,748 with Other, 5,433 with ISO9001, and 4,317 with GMP certification.